Associates of businessman Shaul Elovitch provide his version of the affair dubbed 'Case 4000'. Associates of businessman Shaul Elovitch, who was recommended by the police to be indicted in case 4000, revealed his version of the affair on News 2. According to a report by journalist Amit Segal, the sources said that the prime minister asked the businessman to make corrections to news articles on the Walla site which he did not like. According to his associates, Netanyahu also had unusual requests. "Elovitch helped Bibi only when he thought he was right." For example, one day, they say, Netanyahu asked him to publish an article that the wife of the chairman of the Jewish Home party, Gilat Bennett, had been a chef in restaurants that were not kosher. According to close associates, the relationship between Netanyahu and Elovitch began almost by chance. "The relationship between Elovitch and Netanyahu began 20 years ago, when Shaul donated a computer to each child, but gradually the connection weakened, and Sarah and Bibi said, 'Maybe you will jump once.' Netanyahu asked Shaul: "Do you hate me?" Shaul said, "G-d forbid." Bibi asked, 'Are you a leftist?' Shaul said no, so Netanyahu said, "So why does Walla hate me? You're much worse than Ynet," the associates said. They added, "The truth is that Walla's coverage was hostile to Netanyahu, and CEO Ilan Yeshua said he wanted to be the leading site in Israel. So Shaul said: That's why you have to be at the center, not at the far left. Shaul is right-wing center. He was annoyed by the fact that Walla would report a terrorist attack as if it were an accident. Netanyahu would call to ask to complain about articles. Shaul is busy, he does not even go into Walla. So he suggested that Bibi's spokesman speak directly to Ilan or the editor. " "There is a site that the prime minister, who is also the minister of communications and right-wing, looks at every day, so what - for G-d's sake - is wrong with the owner asking to moderate the criticism of a man who is both his friend and regulator?" 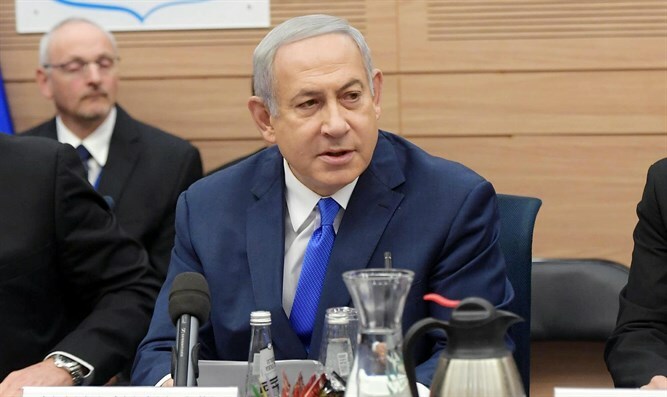 The sources said that Elovitch was offered a chance to be a state witness against Netanyahu and then said in response that he was not willing to say things that were not true. "From the moment Netanyahu became the main suspect, the police sent the message: 'Be a state witness, give Bibi's head and save yourself from the suffering and the trial.'" The friends and family said to him: "If you did something, tell them and be done with it." He told them: I cannot invent anything that did not happen. The police want me to be a state witness - to give me permission to lie and say what they want.'"